Suitable for the disabled: - 2 Ground Floor bedrooms one with shower room one with bathroom both with WC and washbasin. Contact Terry at Barlings Barn on 01650 521 479 (mobile: 07766312508) or complete the enquiry form. Spacious holiday accommodation in Llanbrynmair, ideal for relaxing, short breaks and week-long holidays with family and friends, in truly beautiful and peaceful countryside. Barlings sleeps up to 28 adults in total (plus babies), the Barn (sleeps 14 to 16), The Wanws (which sleeps a further 8), plus cute Goat Cottage (sleeps another 4). The properties are situated close together in a courtyard setting, either side of the indoor pool. All 28 guests can dine altogether in the barn. We ONLY let to one group at a time so you have the luxury of knowing that the beautifully heated swimming pool and all our other facilities are yours, and yours alone, whilst you are staying at Barlings. We have 3 cots, 3 high chairs, baby bath, potty, booster seat. Full central heating - our accommodation in Llanbrynmair, Powys, is VERY cosy. All fuel, power, logs for fire and linen included in the price of your holiday. 20 acres of Bluebell woodlands (plantation of ancient woodland). Perfect for Easter egg hunts/cowboys and indians!!! Wood burning stove - to toast your toes by. Playroom with dolls house, farm, dollies, lego, dressing up box, DVD, etc. 1 acre of gardens with wildflower meadow, games area and summer house. Plenty of parking is available alongside the holiday barn. 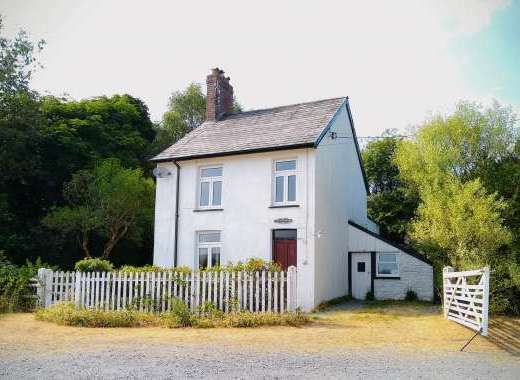 This large and spacious holiday cottage is ideal for relaxing, short breaks and holidays in rural Wales. Explore Mid Wales - enjoy rural activities: Fishing (salmon / trout), Golf, Bird Watching (red kite country), Sandy Beaches, Sailing.Peaceful, secluded location, set in pretty grounds of our 18th century stone cottage, high in beautiful Mid Wales Hills. Enjoy peaceful walks, bird & badger-watching, paper chases/Easter Egg hunts - in the 20 acre Barling Wood, where mosses, bluebells, wood sorrel and all manner of funghi abound. For the benefit of all our guests we politely request no smoking inside the Barn. We happily accepted dogs by prior arrangement – they’ll LOVE the forest walks!!! SUPERB SELF-CATERING ACCOMMODATION, All centrally heated, very cosy and pretty rooms, for parties up to 14 / 16 people in Barn only, or 24 people if reserved with ‘The Wanws’, or 28 people if you have the Barn, Wanws and Goat Cottage. See our own website for full details of the layout of the accommodation at Barlings. Please visit the owner's website to find out more about the holiday cottage, amenities, surrounding area and places to visit in Powys. 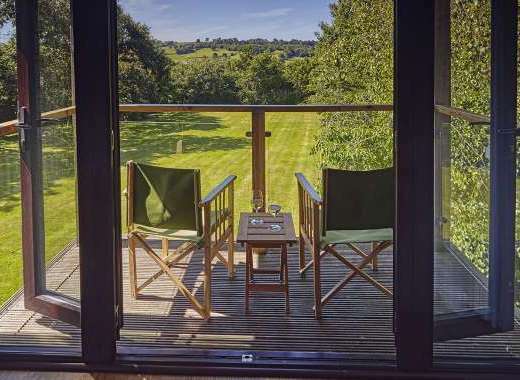 Barlings - from £2950 for 2 nights up to £ 5250 for summer holiday week. To reserve - 25% deposit required. Credit cards - (PAYPAL). Balance due 12 weeks prior to holiday - unless booking within 12 weeks of departure when full amount is required. Thank you. Check out time is normally 10.00 but we are as flexible as possible, just ask Terry or Fliss prior to arrival. If your break ends on a Sunday and we don't have guests following you in immediately then you can stay all day if you'd like. Arrival - whilst we ask our guests to arrive after 3 p.m. on a Summer Saturday to allow us time to make everything beautiful, if you are not following directly on from previous guests then you are welcome to arrive earlier. HEATED INDOOR SWIMMING POOL, SAUNA, SQUASH COURT, 20 ACRE WOOD, Large Gardens and Grounds, Table Tennis Table, Badminton, Pool Table Plenty of places for drying outdoor gear, walking boots, etc. 20 acres of peaceful, pretty, private bluebell woodland. BBQ under a gazebo with covered tables and seats and campfire for toasting marshmallows and singing songs and star gazing! ‘Buttercup Cottage’ – a delightful wendy house located next to the gazebo, perfect for our younger guests to brew up mud stew and grass soup!!! Beautiful panoramic views of hills and our glorious valley. Barlings is South facing and totally private, not overlooked except by the Buzzards and Red Kites that float across the sky. Visit the great beaches in this area - the glorious golden sands of Aberdovey are only 35 minutes by car. Cader Idris mountain is only 30 minutes - many of our guests have climbed up the winding paths to the summit. There are many places of natural beauty and historic interest to visit. : Castles, nearby Powis Castle - Capability Brown designed the magnificent gardens and Clive of India lived there,, Edward I castle overlooking the Severn Valley near Newtown, Montgomery Castle, further afield Harlech and Criccieth Castles are worth visiting. Bodnant Garden is stunning with the multi coloured rhodendron and azalea ravine a picture in spring. 3,000 year old standing stones where skylarks rise singing to the heavens. Centre for Alternative Technology is only 25 minutes away. Craft Centres and artisan shops. King Arthur's Labyrynth, where they take you through underground caverns in a boat whilst telling you all the Arthurian legends (he is linked to this area). There are beautiful lake and mountain drives that will take your breath away. The owners have lived at Barlings for 32 years and Fliss says she still pinches herself that she lives somewhere so naturally beautiful. Come and explore and see for yourselves! Nearest Train Station or Airport: Caersws station (on the Aberystwyth line) is 12 miles away. Good connections from around the country. Recommended Places to Visit: Where do I begin??? Miles of fabulous beach at Aberdovey -35 mins in car, sea/lake/river fishing, wonderful peaceful walks in the hills and mountains locally (we are 10 minutes away by car from Snowdonia National Park, historic castles, 3,000 year old standing stones, golf, horse riding on beaches or in hills, white water rafting, mountain biking, Cader Idris close by, near Centre for Alternative Technology. Only one hour and a quarter by car from Roman Chester or Medieval Shrewsbury, Devils Bridge, Elan Valley lakes, Red Kite watching at feeding farms, Aberystwyth Camera Obscura (three quarters of an hour by car), Powys Castle, Wildlife sancturaries (many), Harlech Castle, Port Merion, Port Madog, Dolgellau, Talyllyn Steam Railway, Corris Railway Museum, Craft Centres, Sea trips. We have guests who have been visiting annually for the last 19 years and they are still finding new things to do as well as their favourites. We are very happy to help point you towards our much loved and special places to visit. Recommended Places to Eat Out: Good pub meals at Alleppo Merchant in Carno just 10 mins away. Excellent food at the award winning Penhelig Arms Hotel in Aberdovey. Fabulous for special meals. Barlings Barn - we can arrange caterers who will prepare delicious food for you to enjoy in the comfort of your own home. This has proved a very popular option as nobody has to drive!! Please ask and we can put you in touch to discuss your special menu at reasonable prices. Award winning Fish and chip shop in Machynlleth anda number of other takeaways. Llanbrynmair is a small village, little more than a cluster of old stone cottages, set inthe beautifully open River Twymyn valley, which was formed by glaciers thousands of years ago. It is wrapped around by the soft green lush hills and oak woodlands that are home to gently chomping sheep and myriad freewheeling birds. Just a whisper away from the Southern reaches of Snowdonia National Park the summit of Cader Idris visible from village (snow capped in winter). At the centre of the village there is a characterful, friendly historic pub and village shop. 11th C church in Llan.